The Finest of 13 Certified Examples! Finer than the Example which recently sold for $215,000 below! The following RAW XF-described Cleopatra sold for $215,000 in January 2019 at the New York Invitational!! Marc Antony and Cleopatra. It is one of the greatest love affairs in human history. The first Romeo and Juliet. 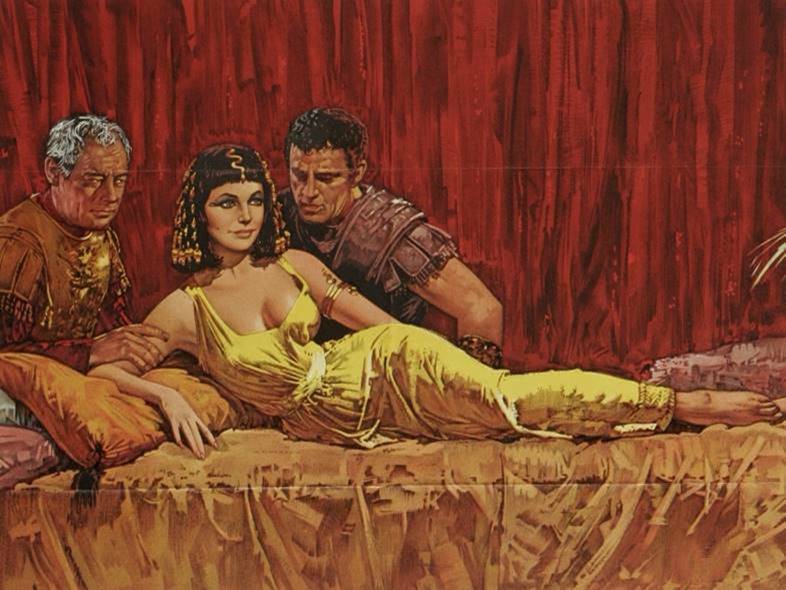 A tale made further made famous by William Shakespeare, made legendary in the 1963 movie Cleopatra starring Richard Burton as Antony and Elizabeth Taylor as Cleopatra, and acted out in theater halls and performing arts venues across the Globe. Marc Antony, Second-In-Command to the great Julius Caesar, was an integral figure in Rome’s transition from a republic to an empire. He was the Ben Franklin to Caesar’s Rome. Until love sealed his fate. 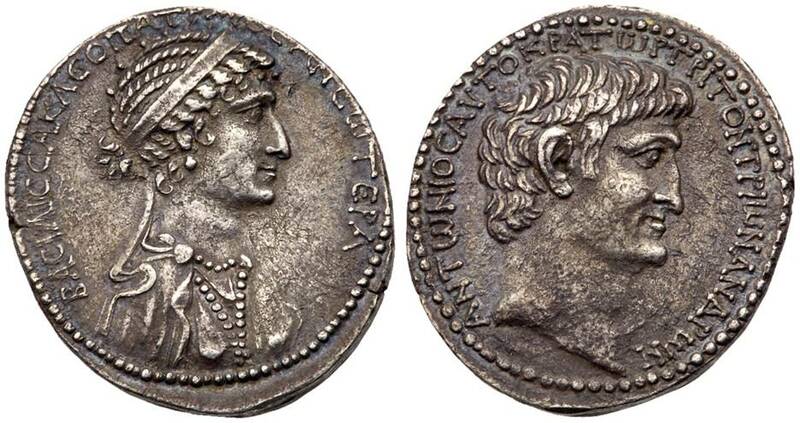 Cleopatra, once lover of Julius Caesar himself and Mother to one of his Sons, became the affectionate admirer of Marc Antony after Caesar’s assassination in 44 B.C. 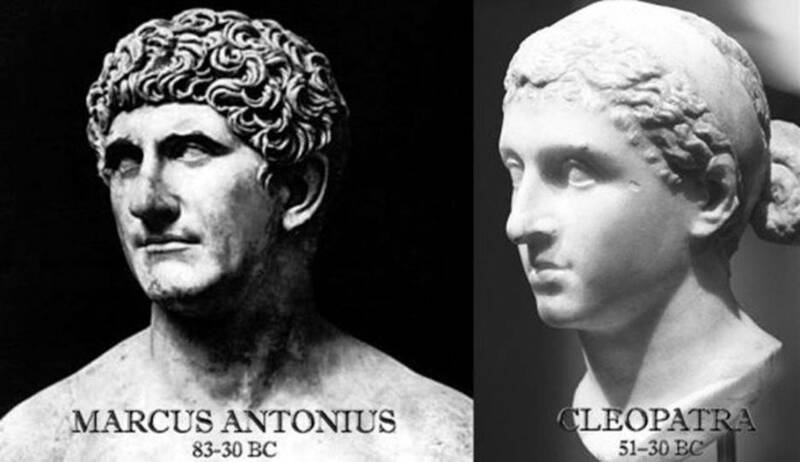 Antony’s affections for Cleopatra became too strong and as such he became more and more intertwined with the Egyptian Kingdom, ignoring the power of Octavian, who solidified power after Julius Caesar’s death and who saw Cleopatra’s hereditary right to rule as a threat. Octavian subsequently declared war on Cleopatra. As Octavian entered Egypt, Antony and Cleopatra had no way out. Antony, thinking his lover was already dead, stabbed himself with a sword. Cleopatra was captured but managed to commit suicide by a poisonous snakebite. What better prize is there as a collector than to acquire a tangible artifact of one of the greatest stories ever told? This is your chance. Artist Depiction of the two lovers. 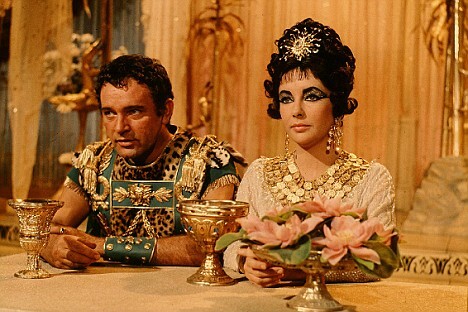 Richard Burton portraying Marc Antony and Elizabeth Taylor portraying Cleopatra in the 1963 film about the Egyptian Queen.